Jules (Drayton, United Kingdom) on 16 December 2011 in Landscape & Rural and Portfolio. Boyd Creek was our next stop and after a very short walk into the Snowdon Forest we came across this very impressive waterfall created by a dip slip fault line. This series follows our journey along State Highway 94 as we travelled from Te Anau to Milford Sound. The route is 73 miles (119km) long and it is regarded as one of the most scenic roads in New Zealand; with a peak elevation of 940m, it is also one of the country's highest. The road travels up the eastern side of Lake Te Anau along the lateral moraine left behind after the retreat of the glaciers at the end of the last ice age. From Te Anau Downs, the road veers right and enters the Eglinton Valley. The road then runs parallel to the right side of the Eglinton River for 20 miles while it passes through Knobs Flat. 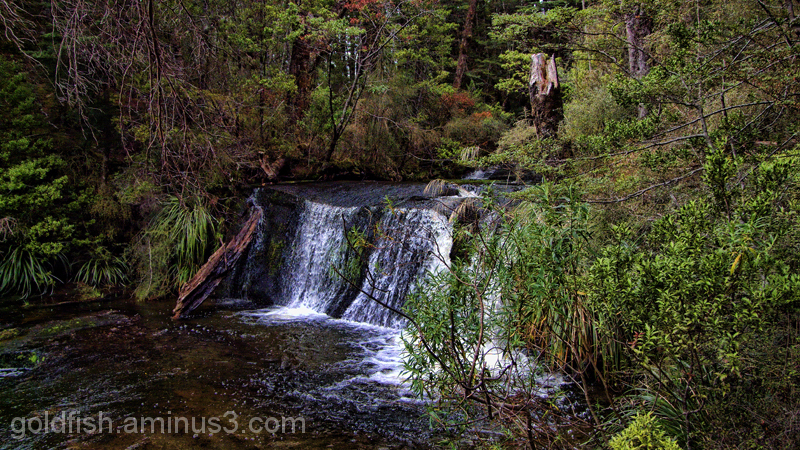 At Cascade Creek, the road emerges onto the shorelines of Lake Gunn and Lake Fergus. The road then passes through a saddle and emerges at the upper section of the Hollyford Valley. After Hollyford, the road veers to the west and rises steadily along the valley to its highest point at the Homer Tunnel. At 1270 metres long it is the second-longest road tunnel in New Zealand. The road then emerges at the head of the Cleddau Valley and the road spends its last 10 miles descending along the valley to Milford Sound. Merveilleus eiamge de cette chutte d'eau superbe compo dans la belle végétation. All round technically excellent, a pleasure to view this one. Beautiful find and interesting geology to create this magical waterfall. Very beautiful ! Peaceful ! Excellent shot, super fine details and good colors. Wonderful image. The place is fantastic and your framing and rendition are just spot-on. Very beautiful photograph. It looks like a paradise. Nice frame and capture. Beautiful waterfall and scenery, you had a great view, great information too. Nice place ! I love waterfalls. spectacular setting of this little waterfall ... gorgeous frame and colours ! !